Elmer R. Pfefferkorn, PhD, emeritus professor of microbiology and immunology, and chair of the department from 1980-1992, died on March 25, 2019. He was 87 years old. Late last year, second-year Geisel School of Medicine student Sarah Rosenstein traveled to Tijuana, Mexico with Border Angels, a San Diego-based non-profit that advocates for human rights, humane immigration reform, and social justice. The group of volunteer doctors, nurses, physician-assistants, and nurse-practitioners staff a weekly clinic to care for migrants seeking asylum in the U.S. This year, 100 graduating students at the Geisel School of Medicine joined a record high 38,376 U.S. and international medical students and graduates vying for 35,185 residency positions, the most ever offered in the national Match. In addition to learning how to deliver compassionate, medically excellent care, Geisel students also learn how to continuously improve the systems in which they work. Envisioning a culture that values self-care among clinicians, Cathy Pipas, MD, MPH ’11, and John Damianos ’20, co-facilitated a Geisel pilot course to help medical students and faculty manage the demands of the profession. Arielle Baker, Guarini ‘19, a PhD candidate in the neuroscience track of the Program in Experimental and Molecular Medicine (PEMM), has received a Christine Mirzayan Science & Technology Policy Graduate Fellowship. She will be working with the Committee on Women at the National Academies of Science, Engineering, and Medicine (NASEM) to advocate for the participation and retention of women in these disciplines. 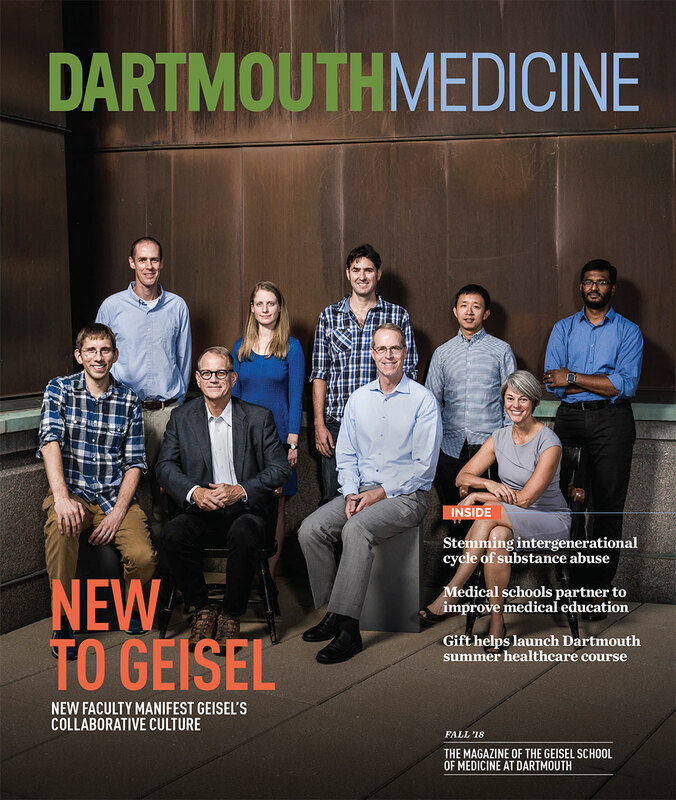 Every year, hundreds of Dartmouth undergraduates learn the ins and outs of research with Geisel faculty.